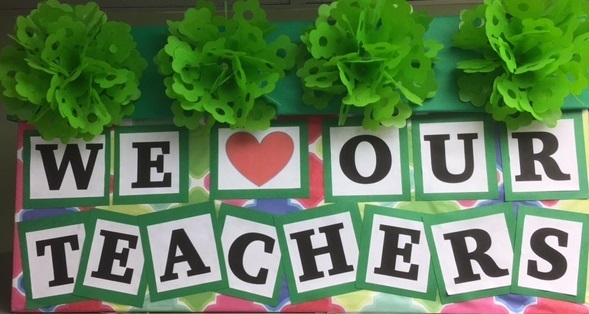 Next week is Teacher Appreciation Week! Erin and I will be standing in the parking lot each morning before school with this box to collect any notes of appreciation you might like to write to any of your childrens’ teachers. You can also bring notes and cards in and drop them off any time at our office. Your words of encouragement mean a great deal to these dedicated professionals who love your kids and who work so hard to help them be successful! Here’s the schedule for next week! 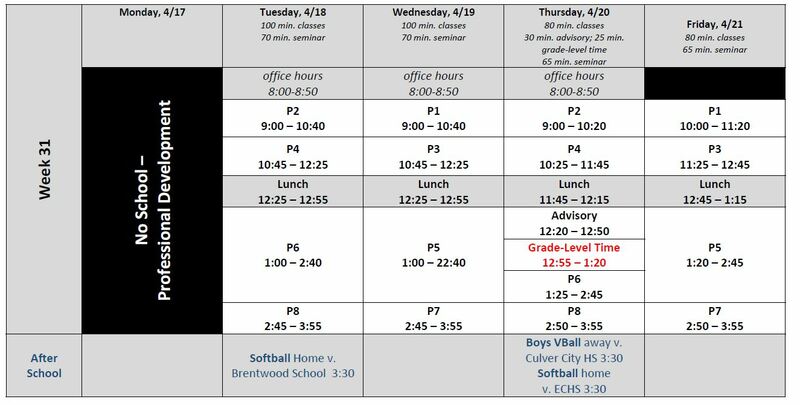 It is the last week of seminars, and it also the week of state testing for 10th graders on Monday & Tuesday and 11th graders on Wednesday and Thursday. Please note that the School Site Council Meeting that was scheduled for Tuesday 5/2 has been moved to Tuesday 5/9. Da Vinci Science will be participating in California’s annual state testing next week. 10th graders will take the California Science Test (CAST) on Monday, May 1st or Tuesday, May 2nd. 11th graders will take the Smarter Balanced Assessments (SBAC) in both mathematics and language arts on Wednesday, May 3rd and Thursday, May 4th. More details about the tests are included in the links below. If you have any questions about your student’s participation in these tests, please contact me Erin D’Souza at edsouza@davincischools.org or (310) 725-5800. Here’s the schedule for next week! Tomorrow is a PD day, which means the staff will be working but the students get one more day of break. Hope to see you at the DVS Y&G fundraiser at Strand Brewing Company in Torrance tomorrow (Monday) from 4-9pm! 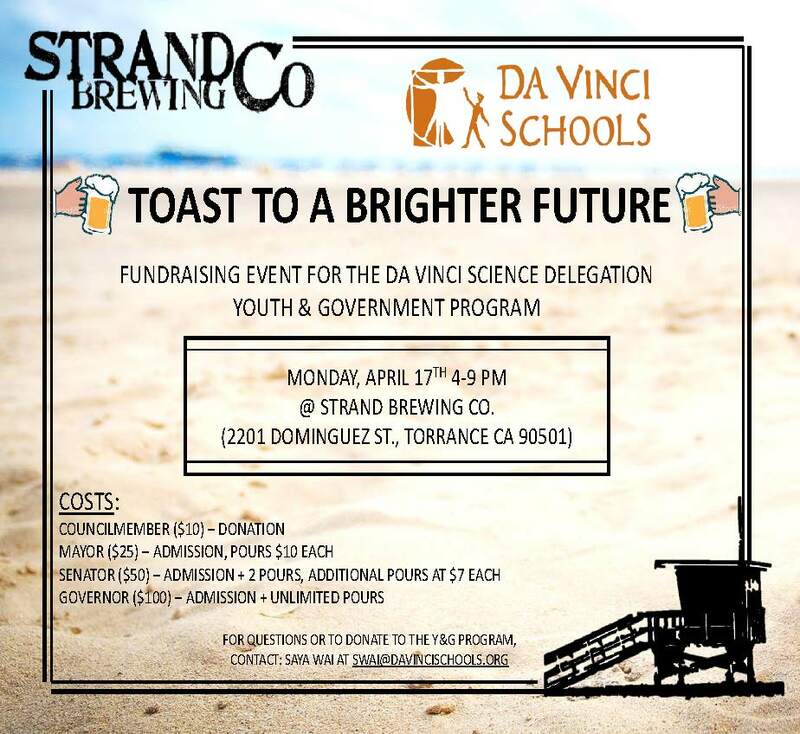 We hope all of our DVS parents will join us tomorrow night at Strand Brewery in Torrance with friends, co-workers, family, and anyone else who wants to support the Da Vinci Youth & Government program (and enjoy some fantastic locally brewed beer)! Please share this post with your family and friends who live in the south bay! Since this was a late night for both students and staff, there will not be any office hours tomorrow morning. Please contact your teacher directly if you had made specific arrangements with them as they might want you to come in anyway. Thanks again for supporting our DVS students! We hope to see all of you the the last-ever Exhibition Night at this campus! Doors will open for families and guests at 6pm!